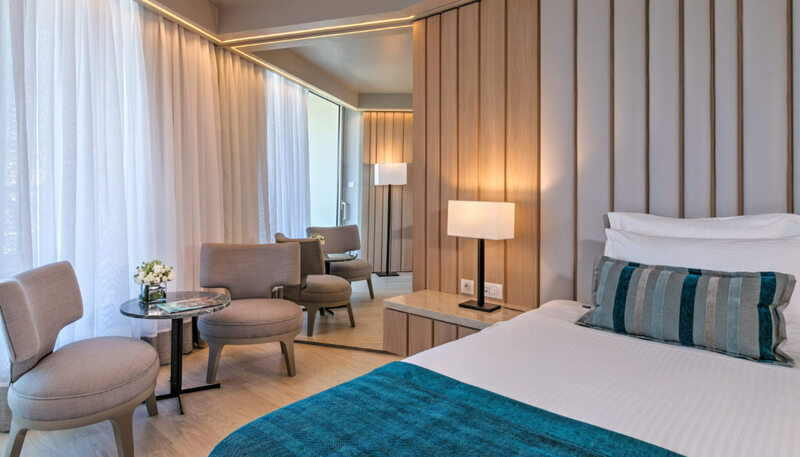 Combining elegant style with breathtaking views each of our luxurious rooms and suites in Athens enjoys its own unique character. 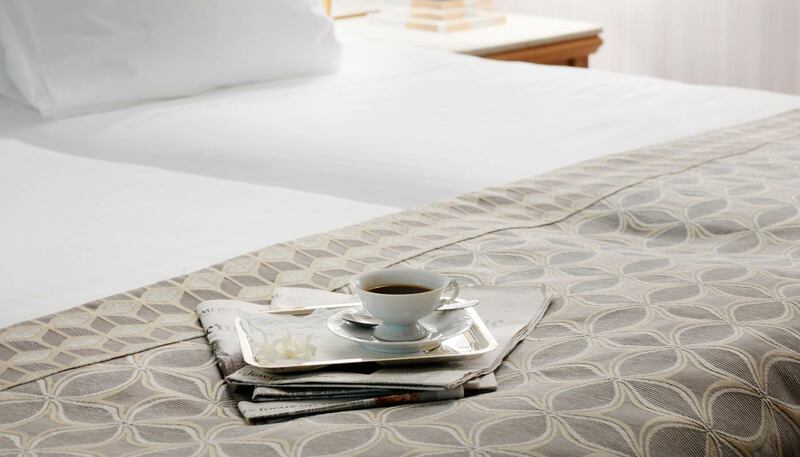 Our beautiful Superior Rooms are the epitome of tranquility and modernity. The soft neutral palettes, the spacious bed, the cozy living room and the luxurious bathroom will have you feeling right at home. 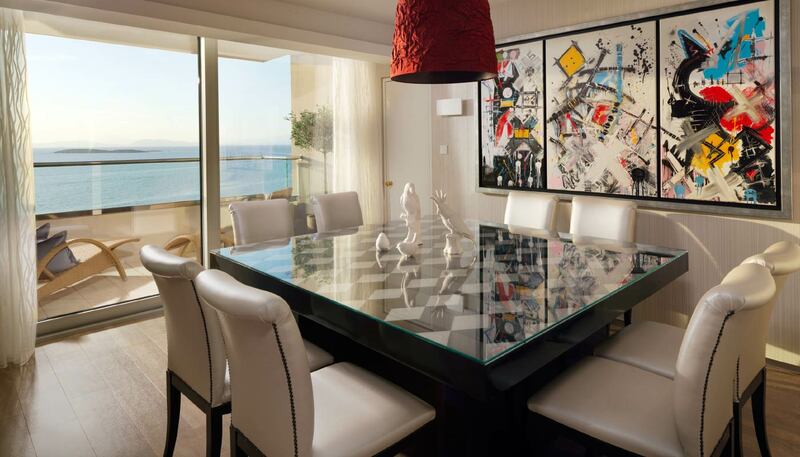 What makes these rooms really unique is that all superior rooms offer side views to the Saronic Gulf. 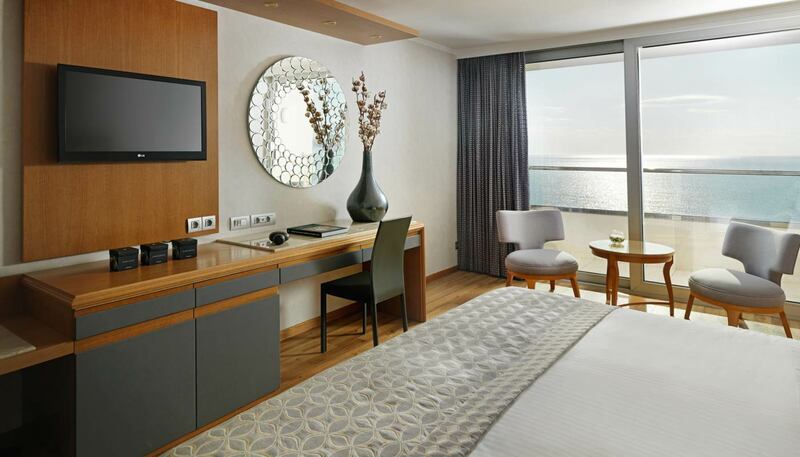 A stay in the executive room of Divani Apollon Palace & Thalasso offers unrivaled luxury. Offering breathtaking views of the Athenian Riviera these rooms are decorated with a unique essence of contemporary elegance. 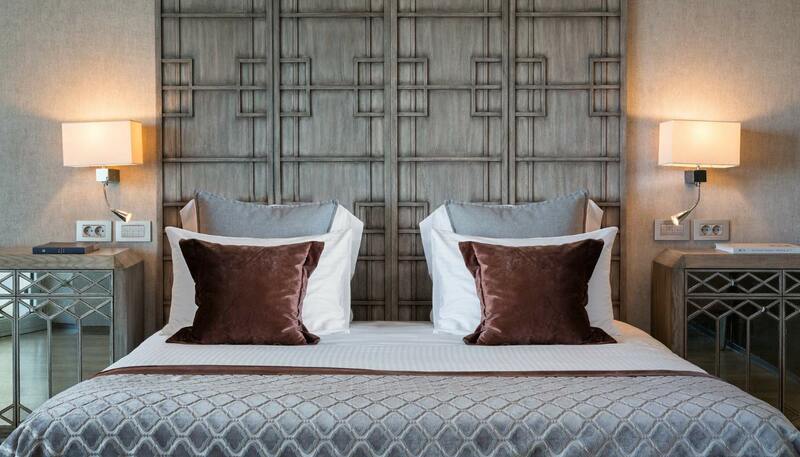 Guests will find a Queen bed, a relaxing sitting area, and a luxurious marble bathroom. 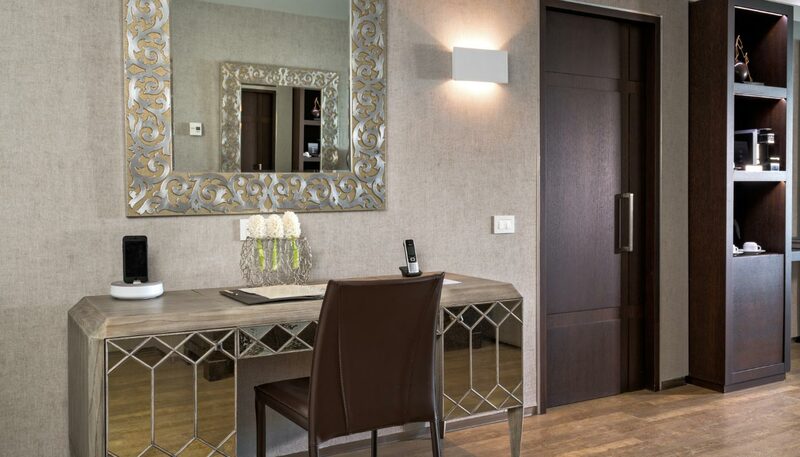 Some executive rooms connect with other rooms and suites making them ideal for families. 35 sq. m. / 376 sq. 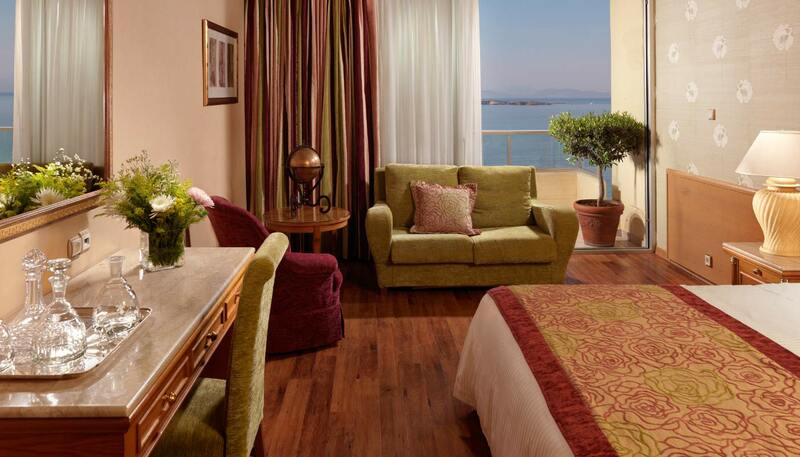 ft.
A stay in the executive room of Divani Apollon Palace & Thalasso offers unrivaled luxury. Offering breathtaking front views of the Athenian Riviera these rooms are decorated with a unique essence of contemporary elegance. 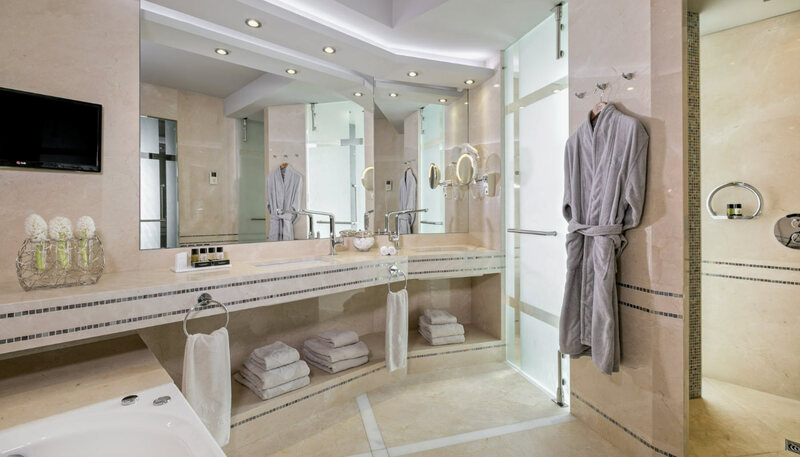 Guests will find a Queen bed, a relaxing sitting area, and a luxurious marble bathroom. 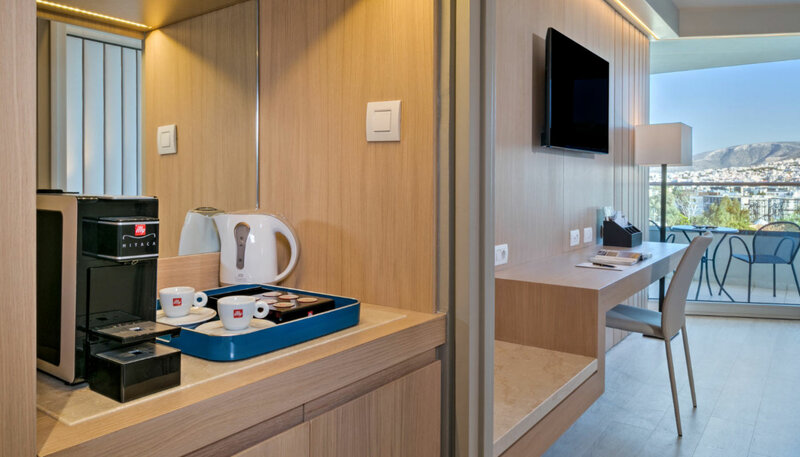 Some executive rooms connect with other rooms and suites making them ideal for families. 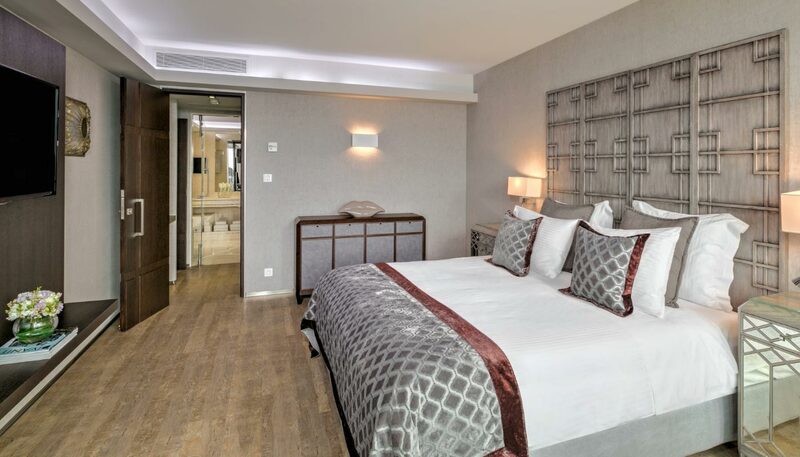 Family rooms are the ideal option for parents with up to two kids providing an ideal base when you are away from home offering 2 interconnecting superior rooms. 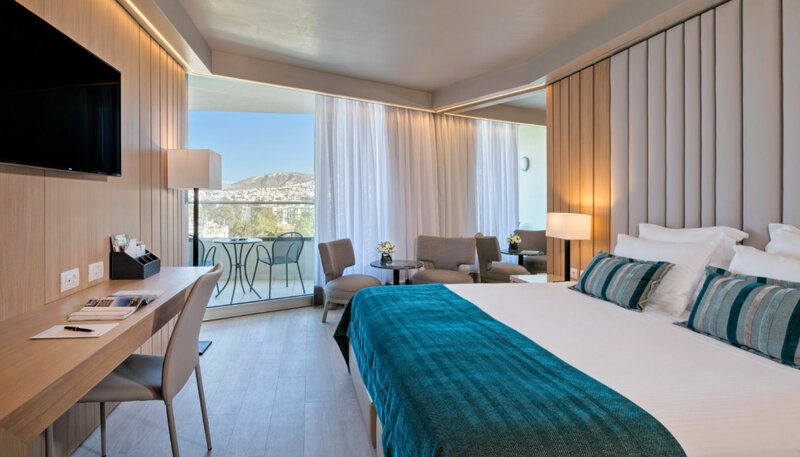 Beautifully decorated and designed to cater families with young children with soft neutral palettes, spacious beds, cozy living rooms and luxurious bathrooms. 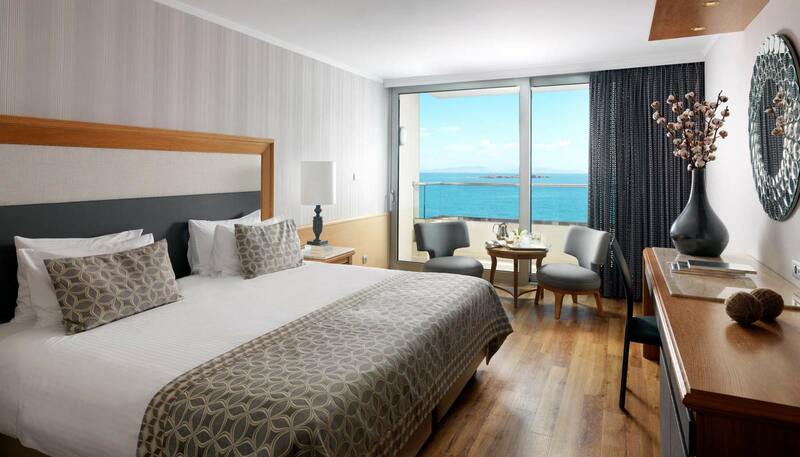 Family rooms offer side views to the Saronic Gulf. 30 sq. m / 322 sq. ft. 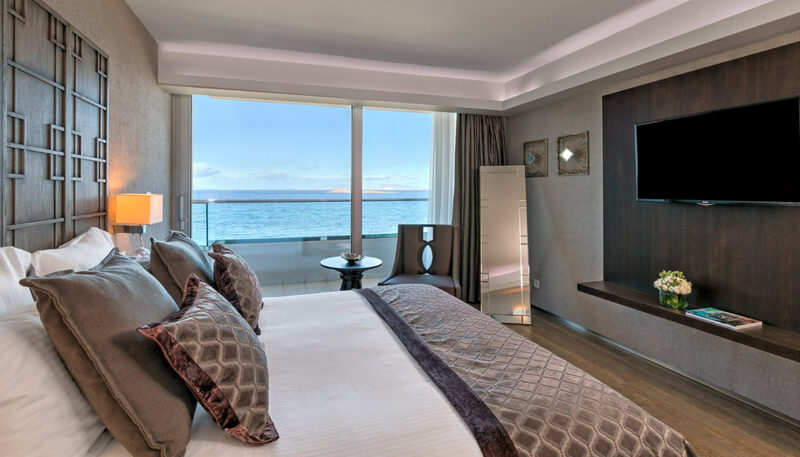 Experience one of the finest five-star luxury hotels in Athens, from the comfort of your all sea view suite. 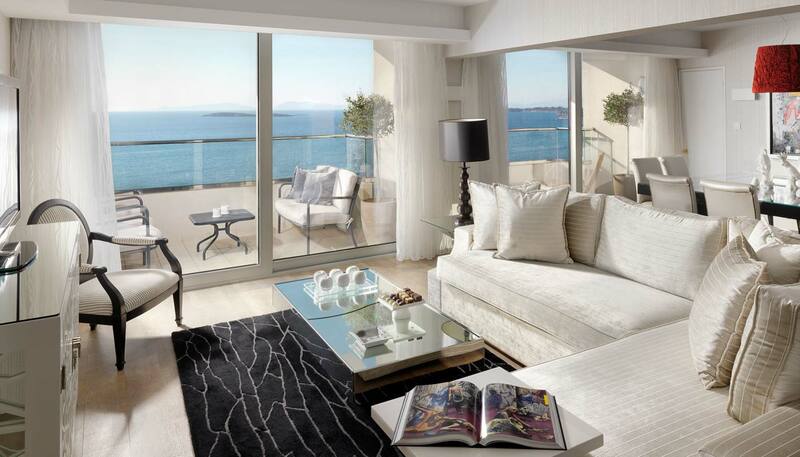 The name of these elegant suites has been picked due to their unhampered sea view, even from inside the bathroom! The spacious bedroom features a sitting area, a dining area, and a desk, whilst the luxury marble bathroom has a separate shower and a deep soaking bathtub complete with a television to relax after a long day. 60 sq. m. / 645 sq. 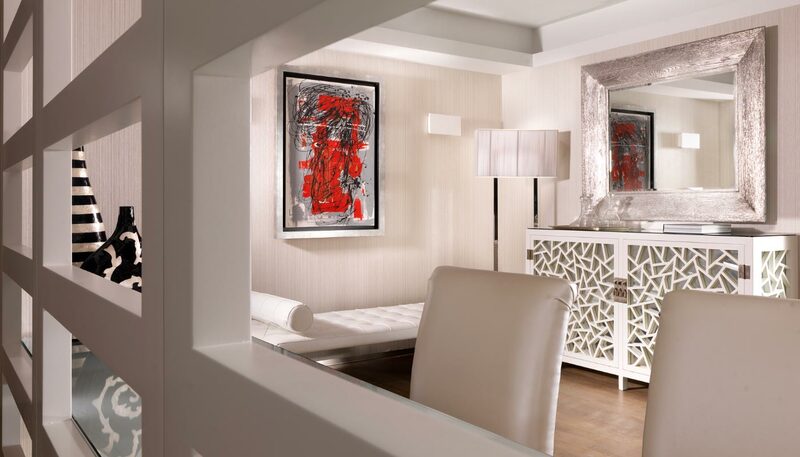 ft.
For those who appreciate total luxury our Deluxe suites are what they are looking for! 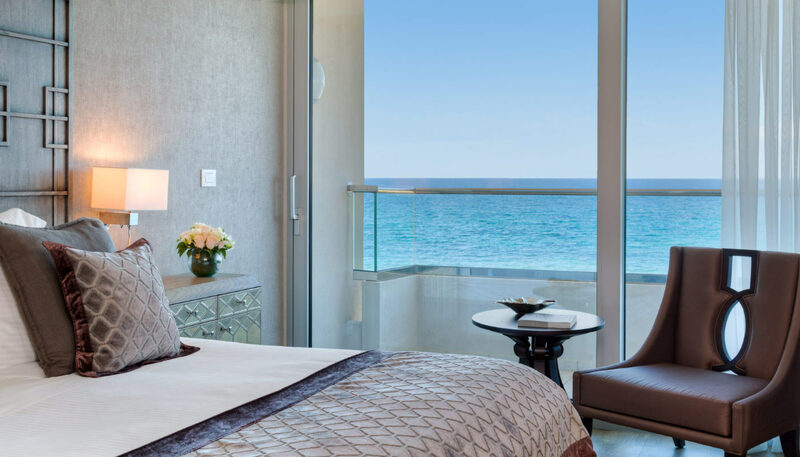 The Deluxe suites offer a master bedroom with a Queen size bed, a beautiful walk in closet, separate living room and a lovely dining area offering magnificent views to the sea. 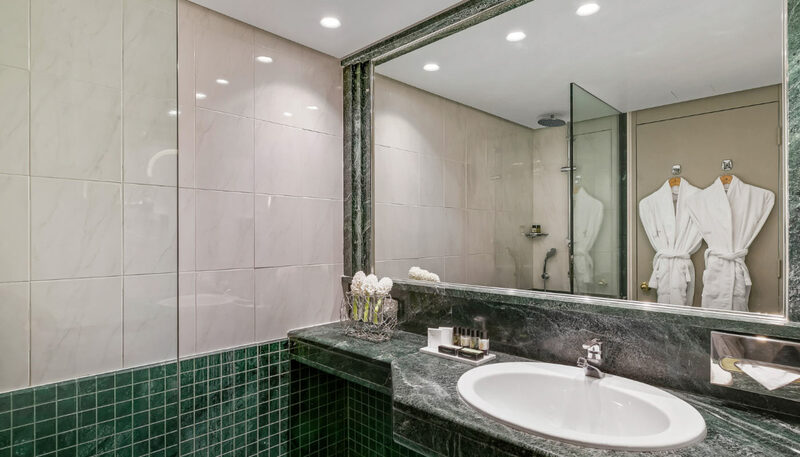 Deluxe Suites feature a lavish marble bathroom, with double wash basins, a separate shower and deep soaking bathtub complete with a television to relax after a busy day. 70 sq. m. / 753 sq. 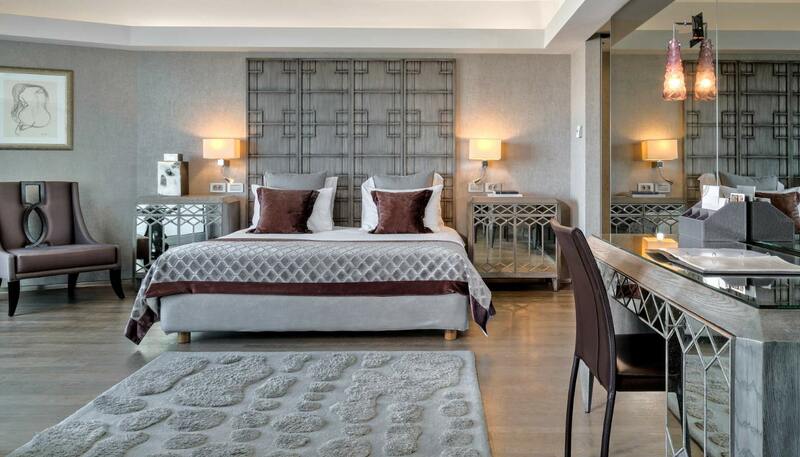 ft.
Our Presidential Suite is the ultimate premier accommodation in one of the finest five-star hotels in Athens. 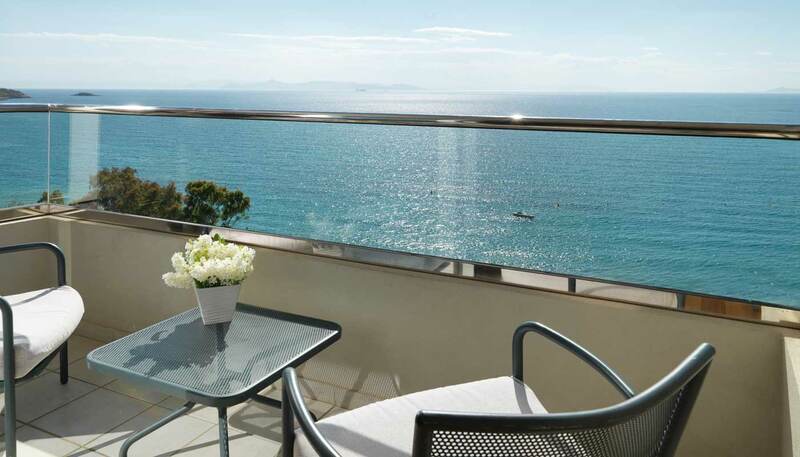 Offering a feeling of staying in a luxury apartment our guests can relax and enjoy the breathtaking views of the Saronic Gulf from their private balconies. 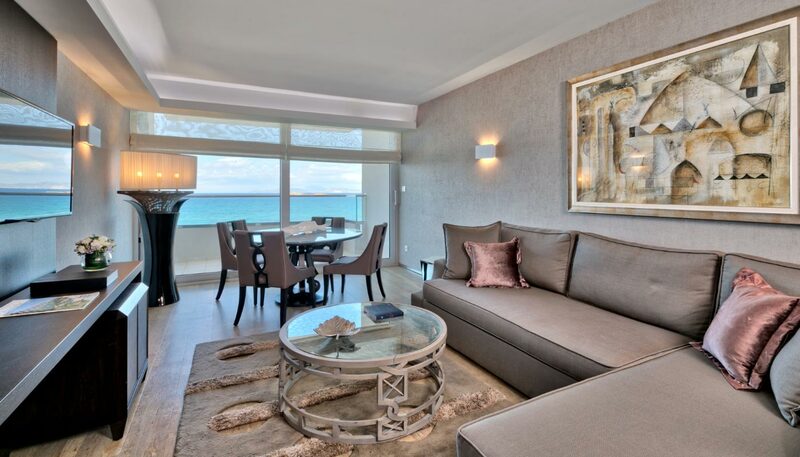 This suite offers a spacious master bedroom and a lavish bathroom, a stylish walk-in closet, an extremely luxurious living room, a beautiful dining area for 8 people and a guest powder room. 93 sq. 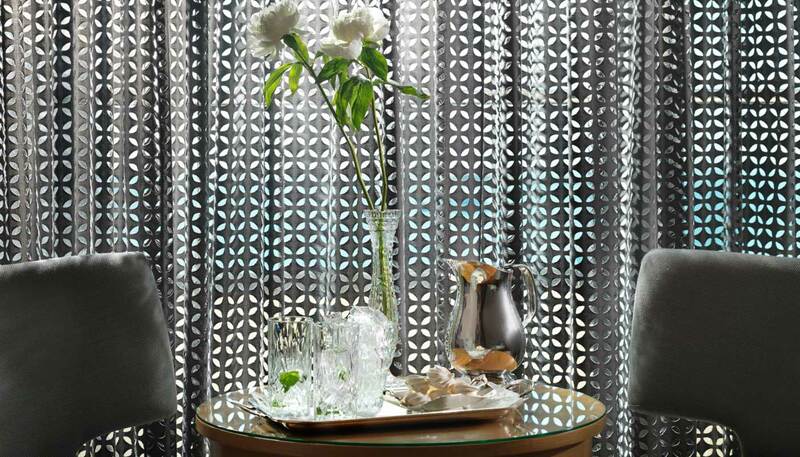 m. / 1,000 sq. ft.